Did you know that paperboard packaging is one of the most environmentally friendly materials available? 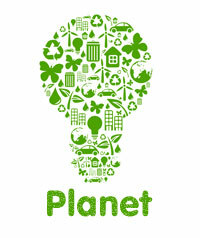 Paperboard is recycled at a higher rate than any non-paper material – 66.8% in 2011! In addition, paperboard packaging accounts for 71.3% of all packaging materials recovered for recycling. Every carton that Thoro produces is recyclable. We have partnered with the Paperboard Packaging Council to provide a logo to our customers at no cost showing that each carton can and should be recycled by our customers’ end users. Our suppliers of clay coated news and clay coated kraft paperboard grades, all calipers, provide us with stock made from 100% recycled content with a minimum of 85% post-consumer fiber content or deinked recycled fiber content. According to the American Forest & Paper Association (AF&PA), private foresters (who provide over 90 percent of the wood harvested in the U.S.) plant about four million trees each day! None of our virgin paperboard suppliers utilize any material derived from “old growth forests.” Our supplier’s policy is that all wood fiber must be sourced from managed sustained yield forests. To support forestry efforts, Thoro offers Forest Stewardship Council® (FSC®) and Sustainable Forestry Initiative® (SFI®) paperboard stock to our customers. Customers that choose this option can display the FSC® or SFI® logos on their cartons and share their environmental commitment with the world. Thoro Packaging has improved the environment and reduced the risks associated with climate change by switching to green power (wind farm offset credits.). This commitment reduces the amount of CO2 produced by 2,544,000 pounds per year and builds green infrastructure for future generations to enjoy. Because of this purchase, Thoro has been granted membership to the EPA’s Green Power Leadership Club since 2010. This is a distinction given to organizations that have significantly exceeded the EPA’s minimum green power purchase requirements. Clean air is important to Thoro. While the industry standard is over 500 grams per liter of Volatile Organic Compounds (VOCs), 100% of Thoro’s solvents have 100 grams per liter or less of VOCs! Thoro is proud to offer carbon neutral packaging to our customers. 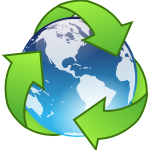 Choosing the carbon neutral option allows our customers to offset any emissions related to the manufacture of their folding cartons. Click here to read more about our partnership with natureOffice USA. Their carbon neutral program might be just what you have been looking for to make your next project stand out! Get social with Thoro Packaging! We know the importance of up-to-date information on the go. Follow Thoro to keep informed on what is new in packaging.